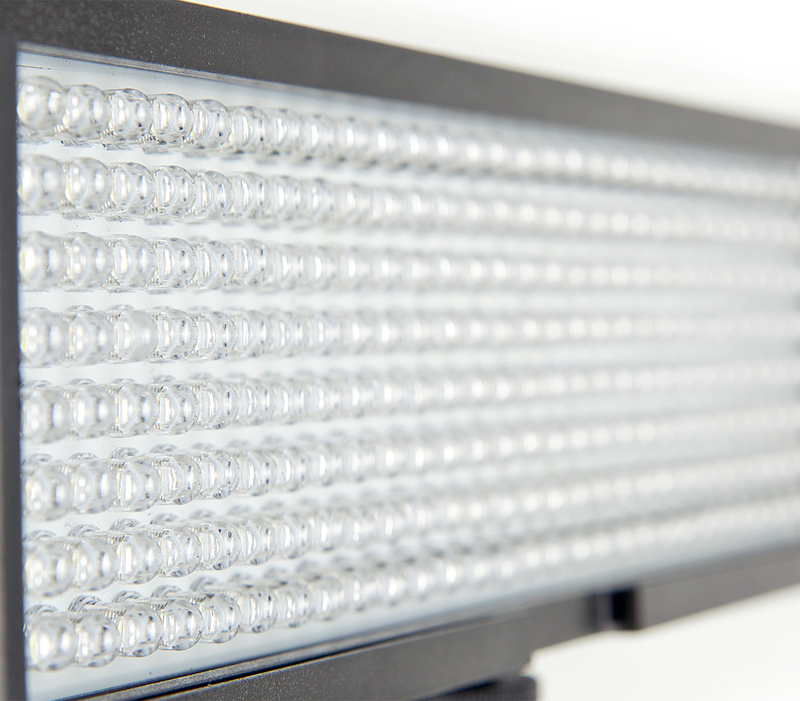 Lighting is arguably the single most important parameter in producing a high-quality video for photographers, videographers and production crews. 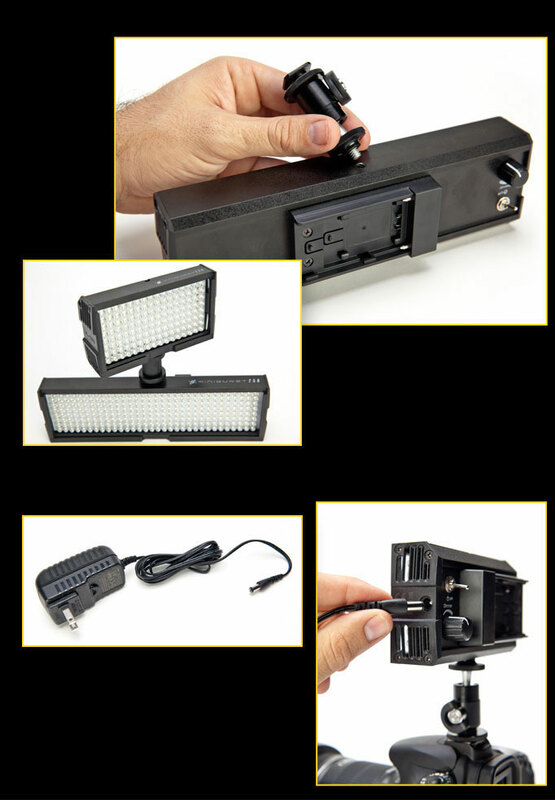 Having an affordable, portable, bright LED light source always on hand -- one that stays cool, can be easily dimmed or filtered, and lasts for hours -- can mean the difference between success and failure on a video shoot for any amateur or professional photographer, especially when on location. 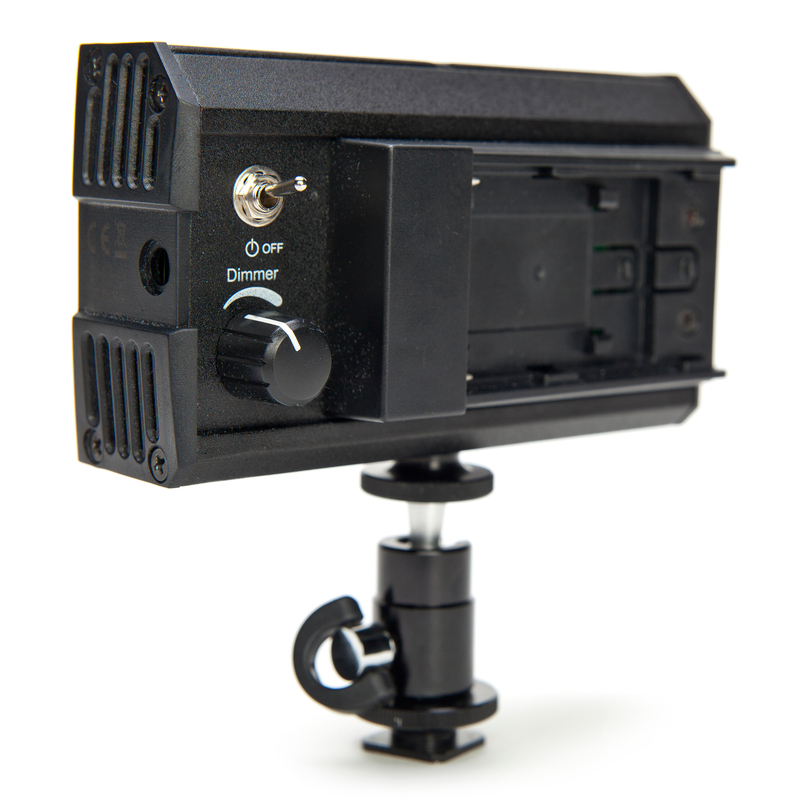 The Digital Juice MiniBurst 128 and MiniBurst 256 LED light Panels gives a high-output portable 200W hotlight equivalent light that is Daylight (5600K) balanced. You can also use the included Warming Filter for 3200k or Soft Diffuser for 4200k. 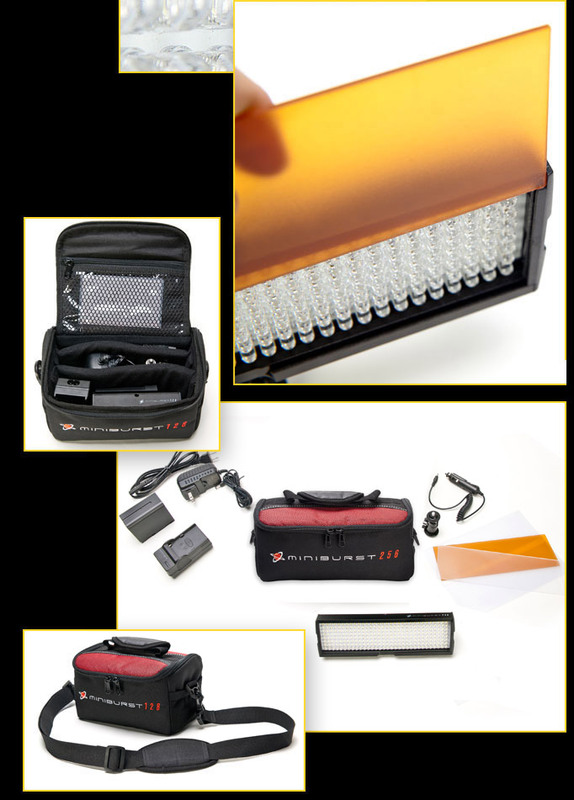 Each budget friendly LED Miniburst kit is powered by and included with long-lasting rechargeable Lithium Ion batteries. They can run for over 2 hours on one charge or are powered directly from an electrical outlet with the provided 12v AC power supply. 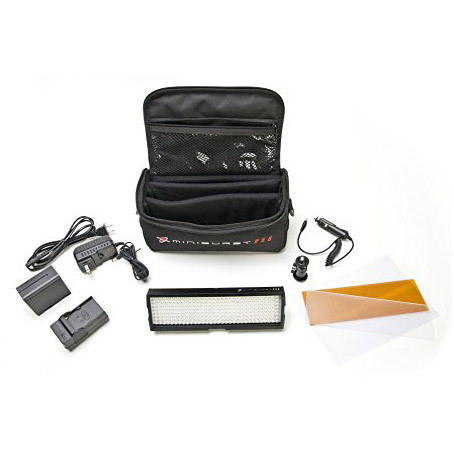 Each of these useful LED light panel also comes provided with a hotshoe swivel mount for on-camera use, an attractive deluxe carry case, battery charger unit with additional car charger adapter, as well as a 0-100 on-board dimmer switch to vary the light intensity as needed. 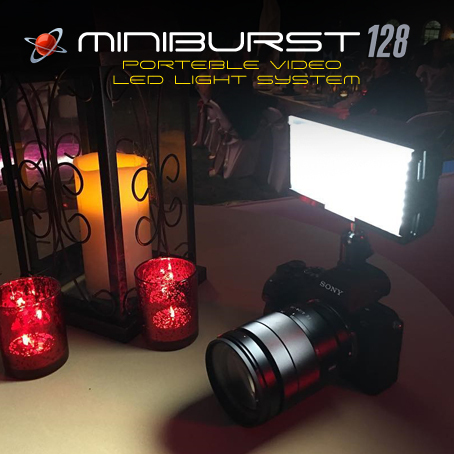 MiniBurst 128 and 256 lights are perfect for wedding and event videography, on-location on-camera interviews, vacation footage and on the go shots of all kinds for photographers and videographers who are beginners and professionals as well. 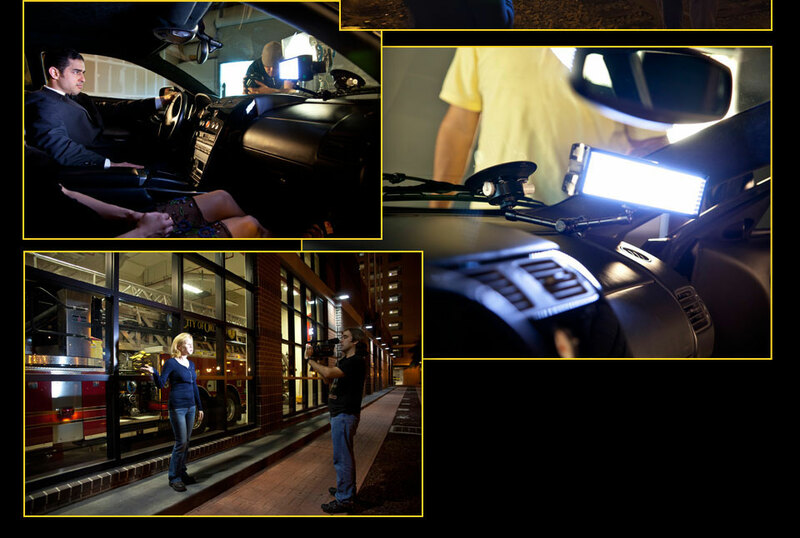 You get steady, continuous light that is brighter, cooler and more portable than units costing twice as much. The MiniBurst lights can run for hours on their long-lasting rechargeable Lithium Ion batteries so you can travel far from an available power source without worrying about missing a shot. 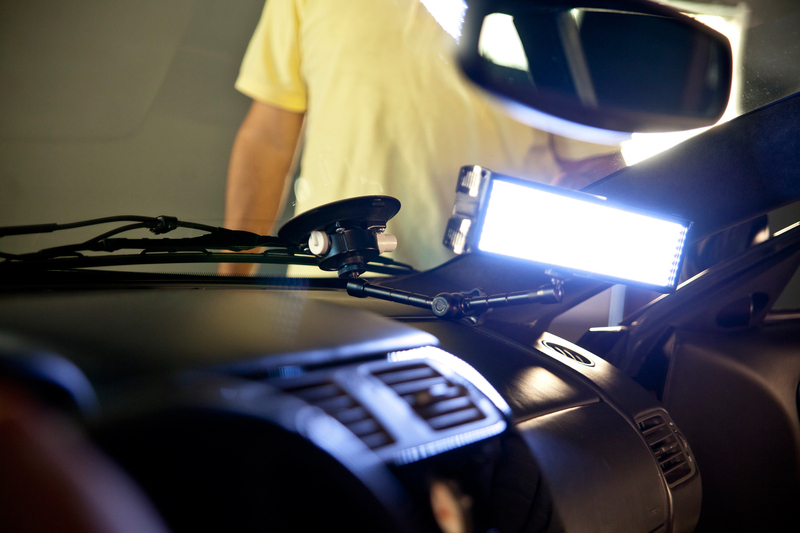 The included warming and diffusion gels allow you to match tungsten light sources and diffuse the light when needed. The filters slide easily into a built-in filter holder on the lights. Rugged powder coated aluminum construction protects the bulbs and circuitry from the bumps of the road. 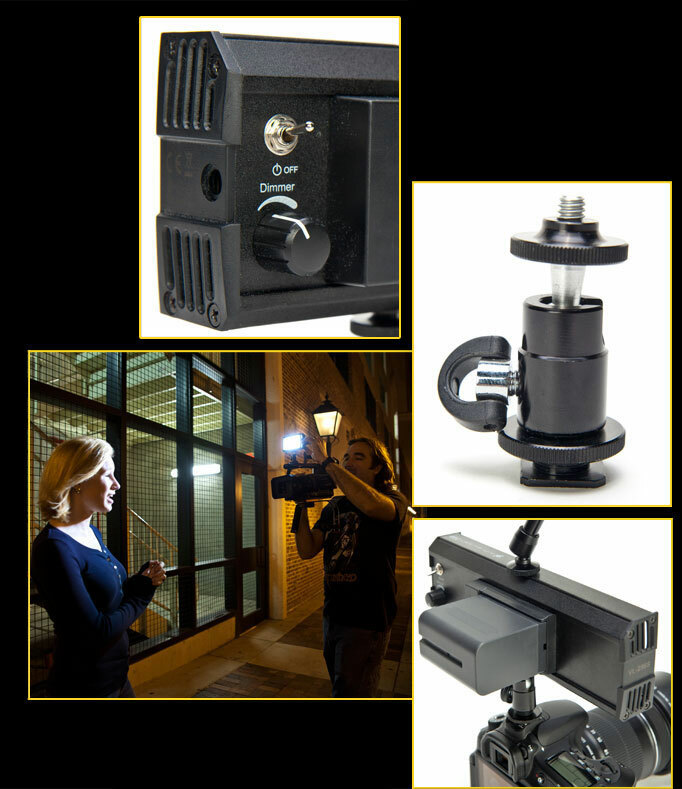 You can easily mount either light to the top of most cameras for ENG on-location reporter-style shooting. 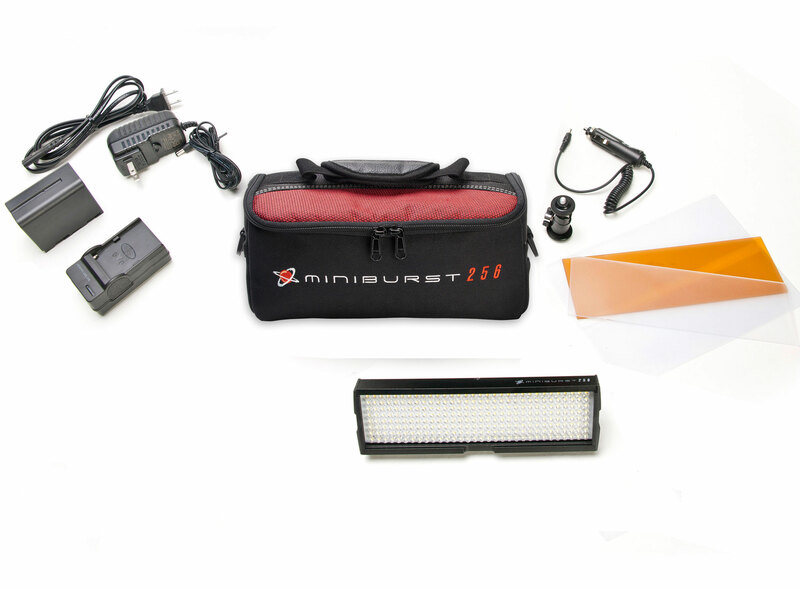 MiniBurst lights can be plugged directly into a standard AC outlet to power the unit for longer shoots. Filter pack includes warming/diffusion gels. Filters fit into slide-in filter holder on light. 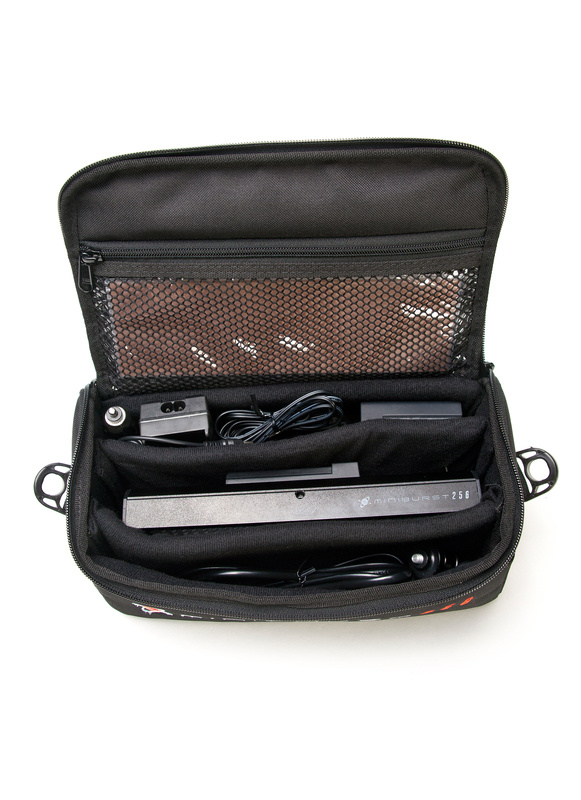 Each MiniBurst unit comes in a deluxe carry bag with detachable shoulder strap. 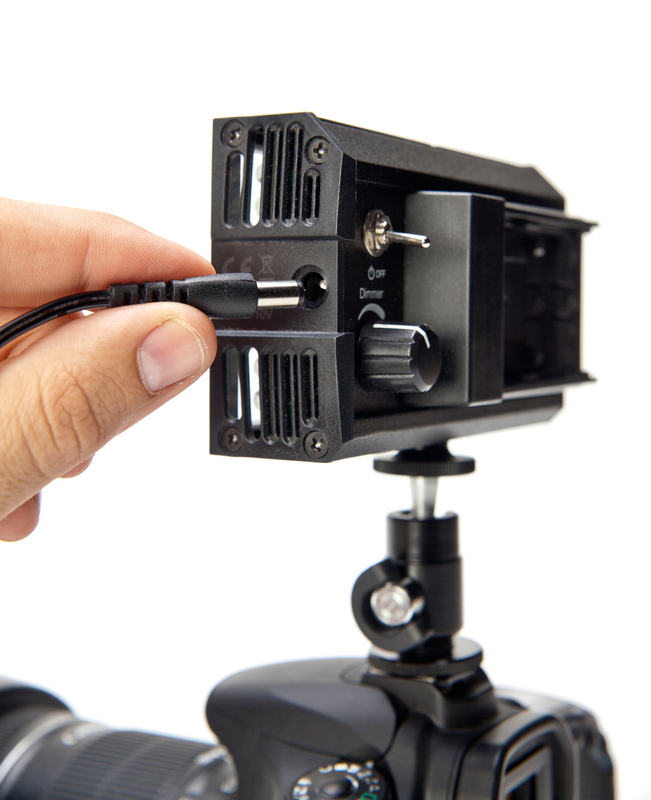 The kit also includes battery pack, battery charger, power supply, warming/diffusion filters & hotshoe swivel mount. 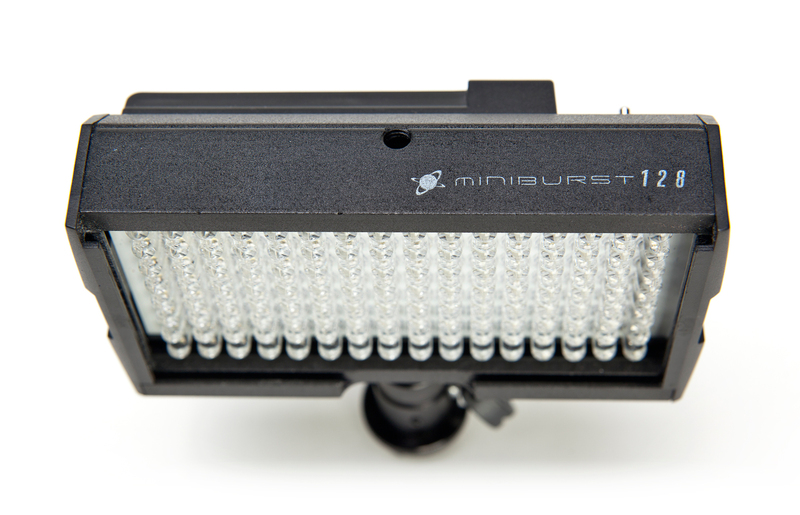 MiniBurst lights have full dimming capability via a dimmer knob on back of unit to reduce light intensity. 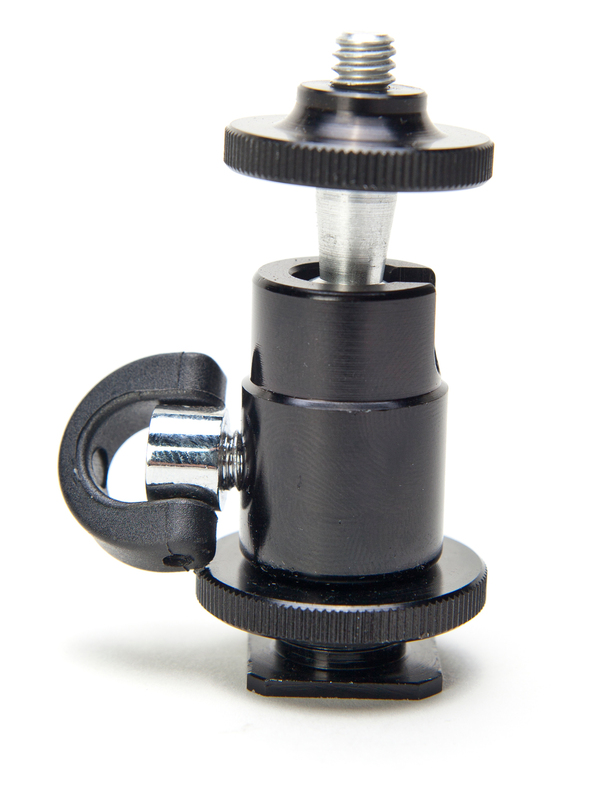 The included hotshoe swivel mount allows you to easily mount the LED lights to the top of most cameras for ENG reporter style shots. 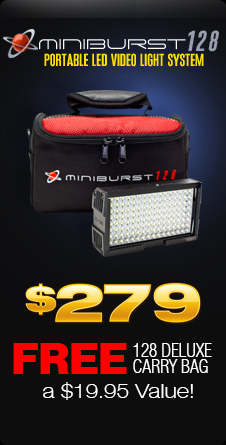 MiniBurst lights can run for over 2 hours on a 7.2v rechargeable Lithium Ion battery (4000mAh pack or greater for the MiniBurst 256, 2200mAh pack or greater for the MiniBurst 128). The attractive heavy duty powder-coated aluminum case protects the inner workings of the light from the bumps and rigors of the road. 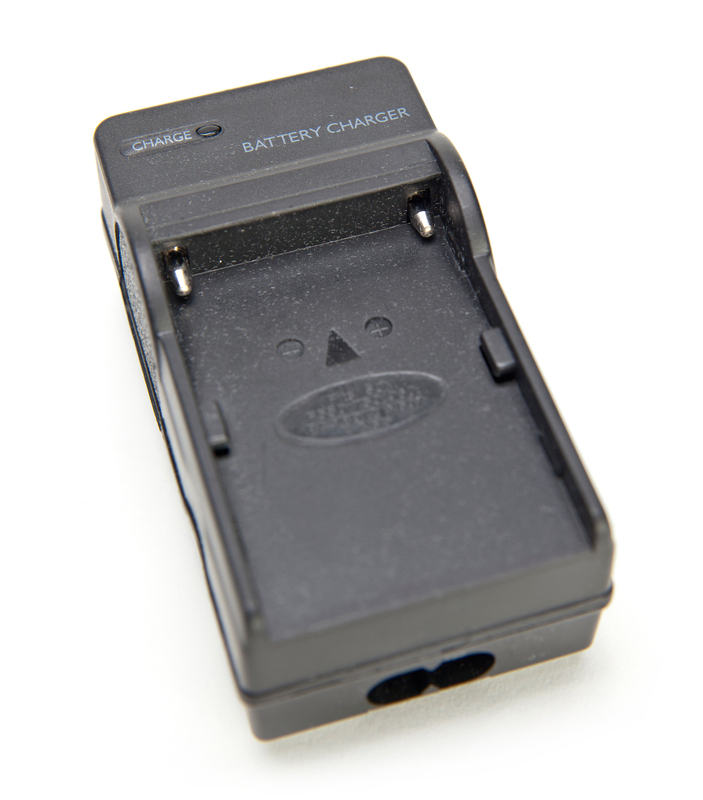 The battery charger unit includes dock, 12v DC adapter and AC power cord. While charging, the light on the charging unit will show red. When the battery is fully charged, the light will be green and the charger will switch into maintenance mode. Leaving the unit plugged in once in maintenance mode will not damage the battery. There are two 1/4"-20 mounting holes, one on the top of the light and one on the bottom. 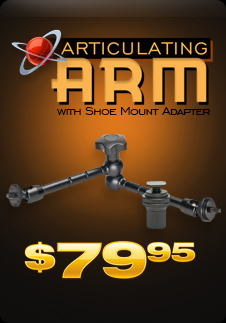 These holes allow for the lights to be mounted to a variety of industry standard mounting platforms such as articulating arms, shoe mounts, mini clamps, tripods, C-stands & more. 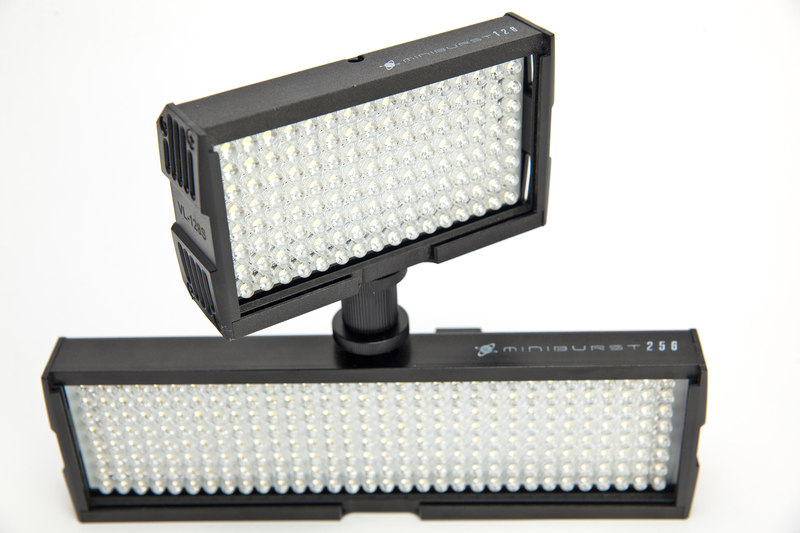 Or, to double the light intensity, you can double stack the MiniBurst lights. Can I power the MiniBurst lights with disposal batteries such as AAs? No. 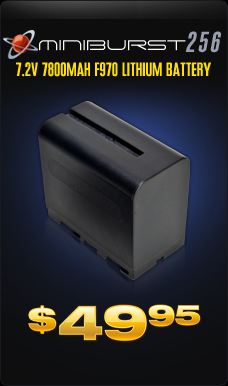 Disposable batteries such as AAs are not capable of providing enough power for such high-output lights as the MiniBurst. 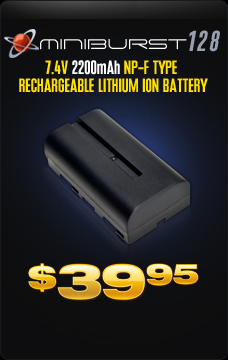 Instead, we use commonly available 7.2v Li Ion batteries. 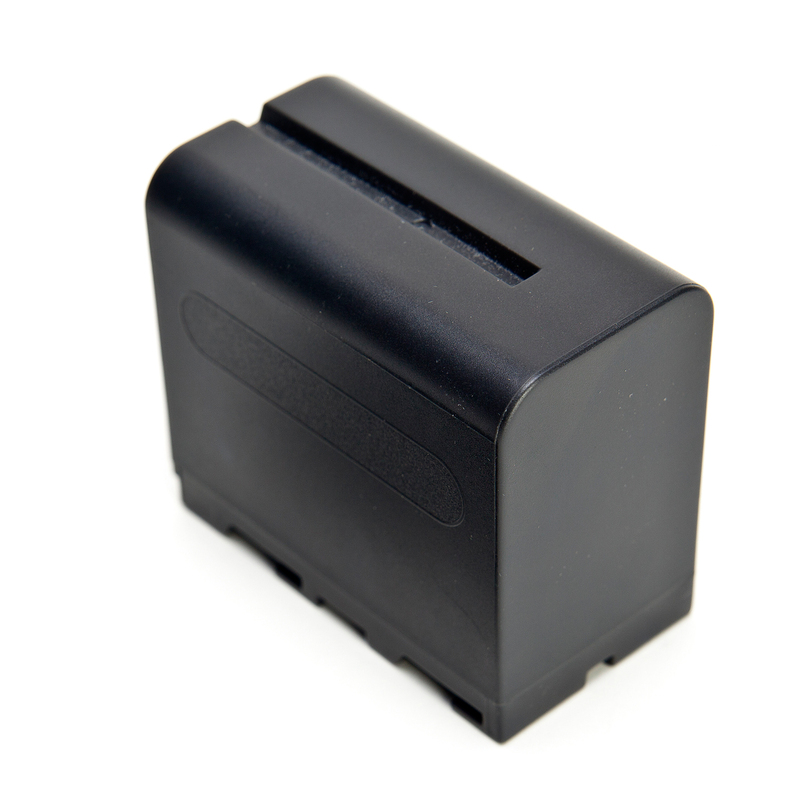 One battery pack is provided with the light and additional batteries are also available for purchase on the Digital Juice website. 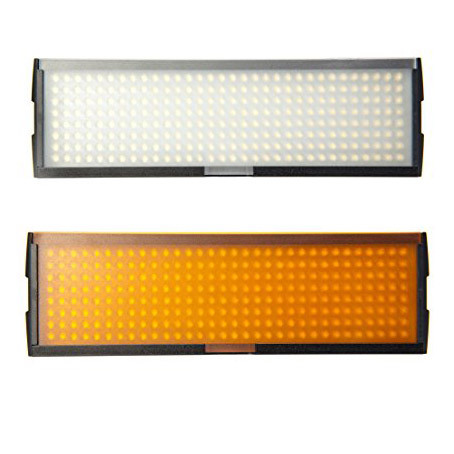 Are these lights suitable for use with DSLR cameras for shooting video? Yes. The high CRI of this unit complements the high sensitivity and color fidelity of today's high-end DSLRs when shooting video. 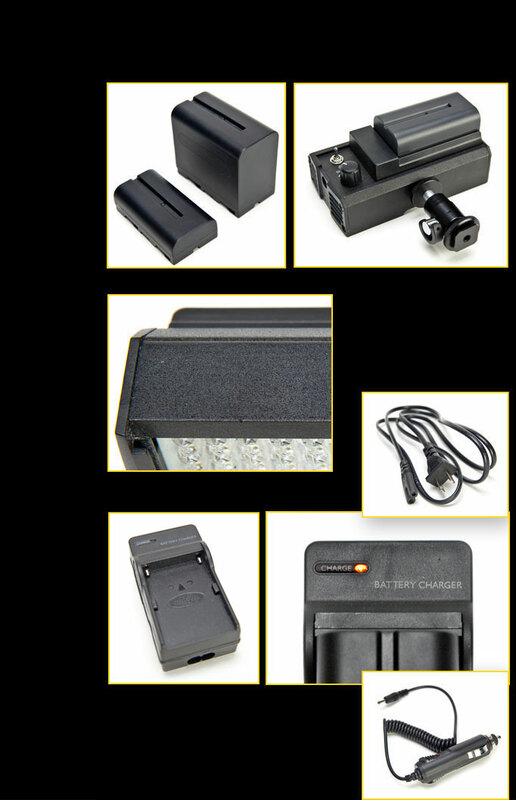 While these lights are not meant for use in flash photography, they CAN provide a variable degree of portable bright light that can be useful for many still photography situations as well. How should I clean my MiniBurst light if it gets dirty? Care should be taken when cleaning your Digital Juice MiniBurst light. Use a dry microfiber cleaning cloth to wipe dust from the housing and the LED lights. If your light becomes excessively dirty, you can use a lightly moistened microfiber cleaning cloth to wipe the aluminum housing, after first ensuring that the light is disconnected from any power source. Use of any chemical cleaning solution or detergent on the MiniBurst lights or accessories is not recommended. My typical shooting days are more than the charge life of the included battery. What should I do? I have a camcorder which uses the same sized battery. Is it safe to use it on the MiniBurst? 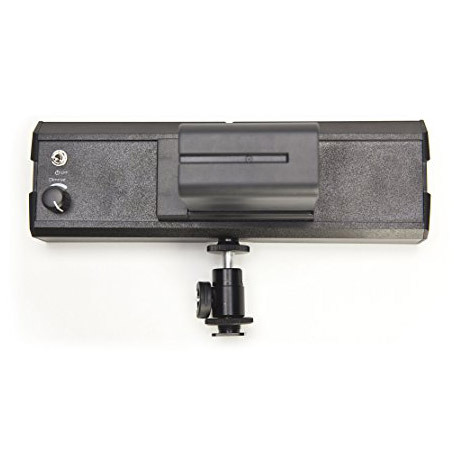 As long as your camera battery is a compatible 7.4v rechargeable Lithium Ion battery (4000mAh or greater for the MiniBurst 256, 2200mAh or greater for the MiniBurst 128) you can swap the battery between camera and MiniBurst light without any problems. I purchased both the 128 and the 256 MiniBurst lights. Are their batteries interchangeable? 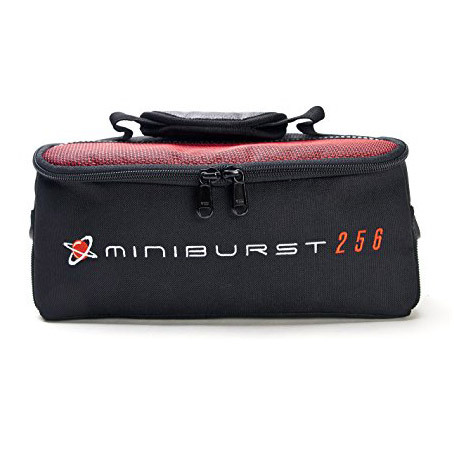 Because the MiniBurst 256 light requires a battery pack with 4000mAh or higher, it cannot use the smaller battery provided with the MiniBurst 128 which is only 2200mAh. 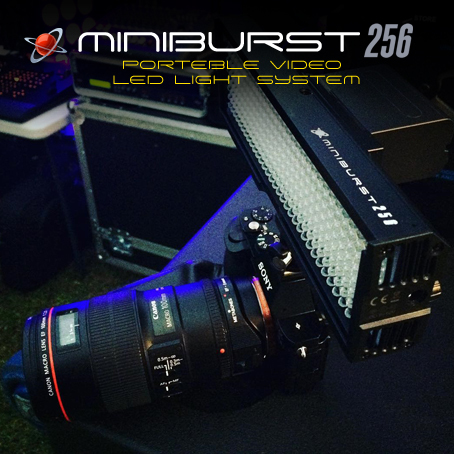 However the MiniBurst 128 CAN make use of the larger battery provided with the MiniBurst 256 light. Portable cool LED lights can be used in tight locations and on the go where other lights would not fit or would be too heavy and awkward to use. 128 or 256 ultra bright cool LED bulbs You get steady, continuous light that is brighter, cooler and more portable than units costing twice as much. 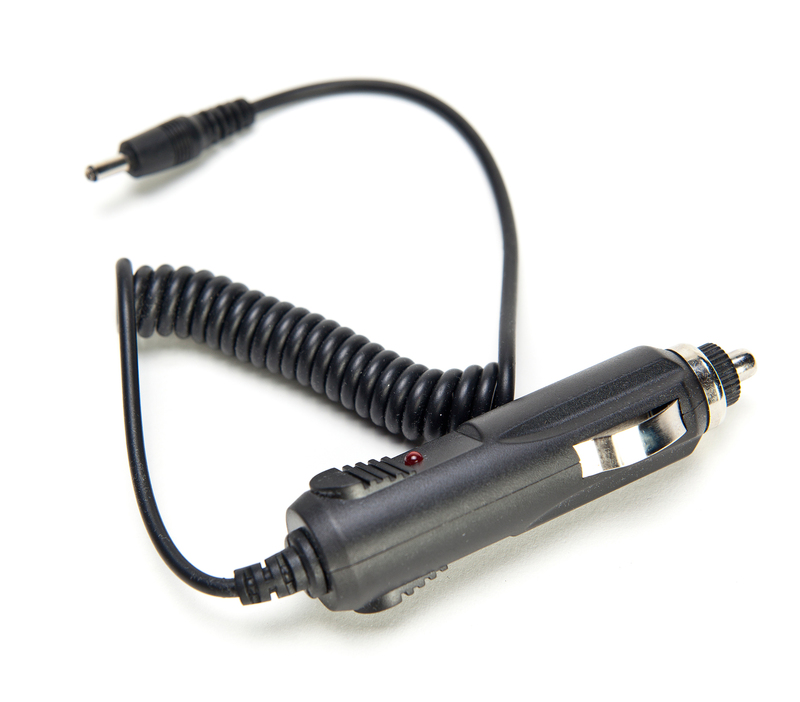 Long lasting portable lighting The MiniBurst lights can run for hours on their long-lasting rechargeable Lithium Ion batteries so you can travel far from an available power source without worrying about missing a shot. 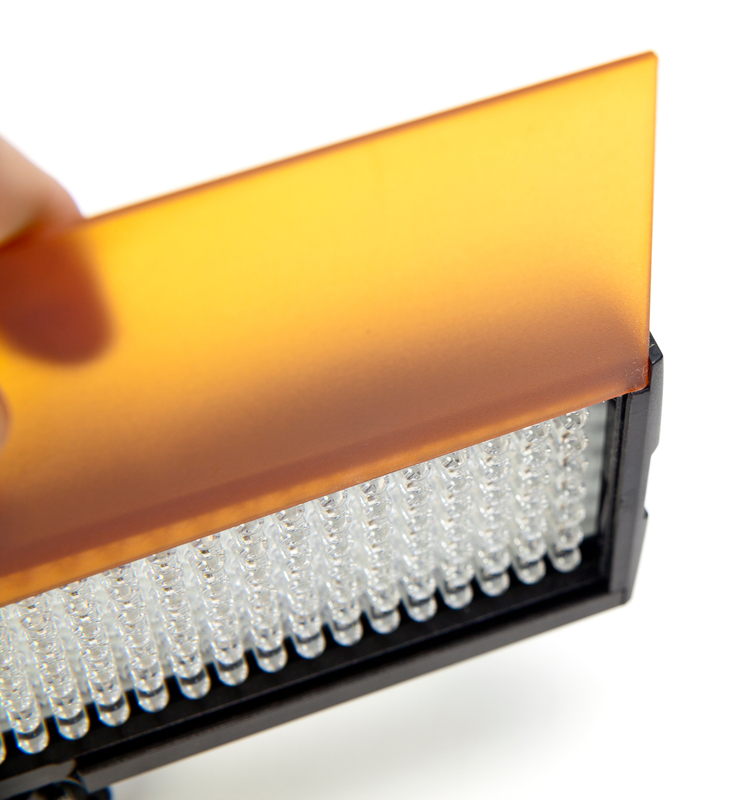 On-light warming and diffusion filters The included warming and diffusion gels allow you to match tungsten light sources and diffuse the light when needed. The filters slide easily into a built-in filter holder on the lights. Heavy-duty aluminum case Rugged powder coated aluminum construction protects the bulbs and circuitry from the bumps of the road. 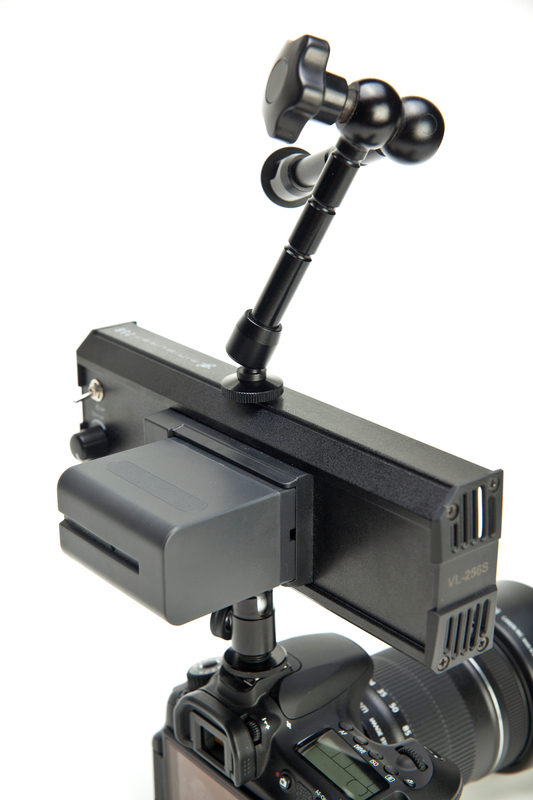 Hotshoe swivel mount included You can easily mount either light to the top of most cameras for ENG on-location reporter-style shooting. 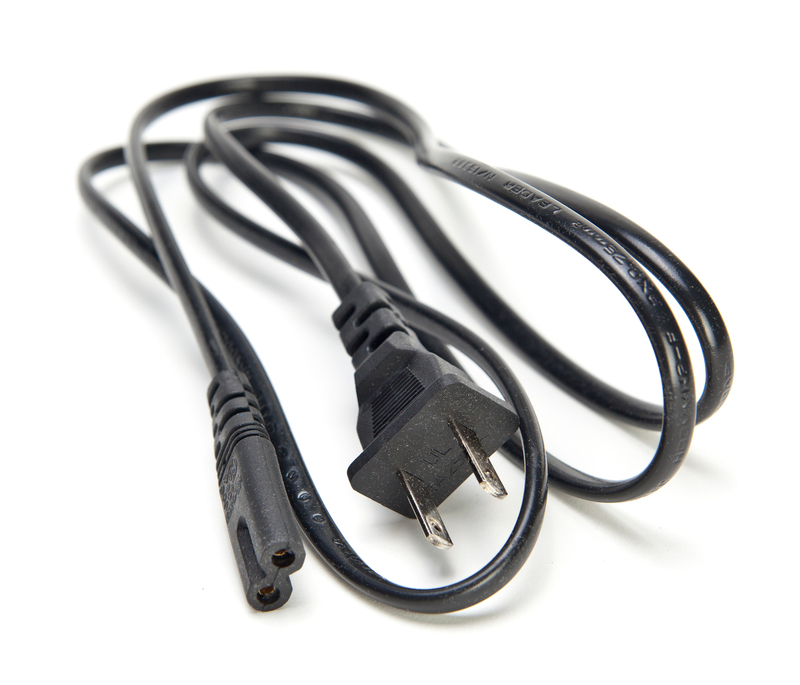 12v AC Power Supply Adapter MiniBurst lights can be plugged directly into a standard AC outlet to power the unit for longer shoots. 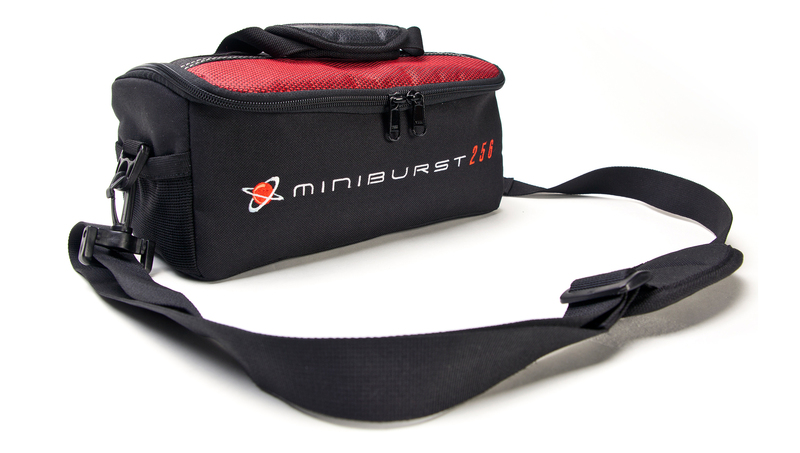 The MiniBurst unit comes in a deluxe carry bag with detachable shoulder strap. 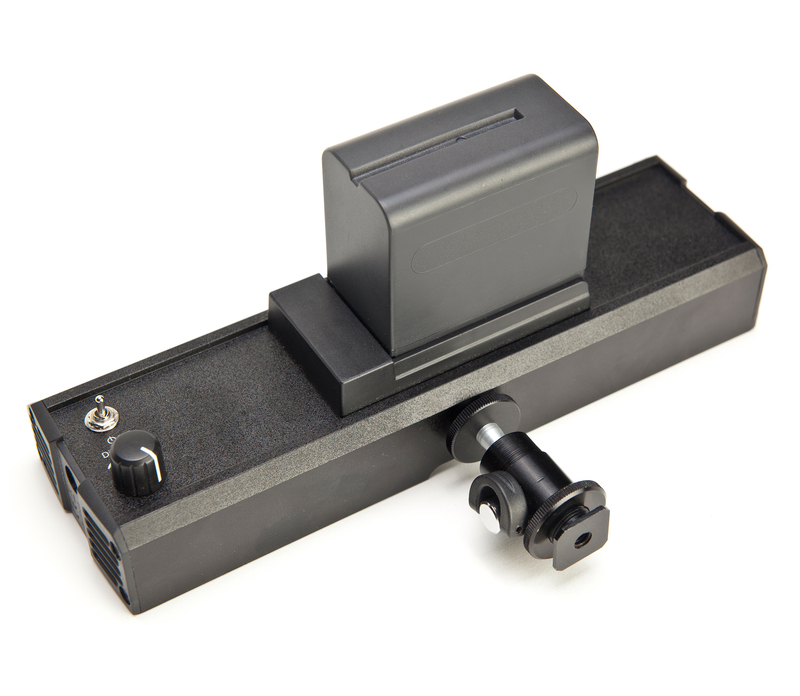 The kit also includes battery pack, battery charger, power supply, warming/diffusion filters & hotshoe swivel mount. MiniBurst light have full dimming capability via a dimmer knob on back of unit to reduce light intensity. 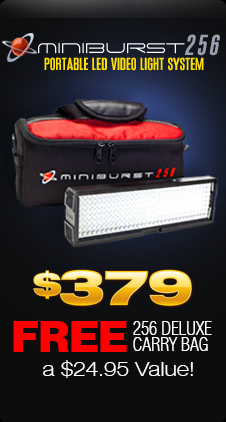 MiniBurst light can be plugged directly into a standard AC outlet to power the unit for longer shoots.